To bridge to the chasms of ‘siloed’ ideologies and the echo chambers of polarized media, if we open our hearts to listen, deeply listen, and connect empathy, I believe we will bridge the chasms when we discover shared foundational common values for people and democracy. We the people. “In this time of dire need for “a revelation in the heart,” when the values of democracy are continually misconstrued and misused, Cohen’s immortal words come to life in a beautiful short film — part tribute to Cohen, part fundraiser for Pen America, part public service to lift the human spirit, narrated by Neil Gaiman, with music by Amanda Palmer and gorgeous watercolor art by David Mack and Olga Nunes. 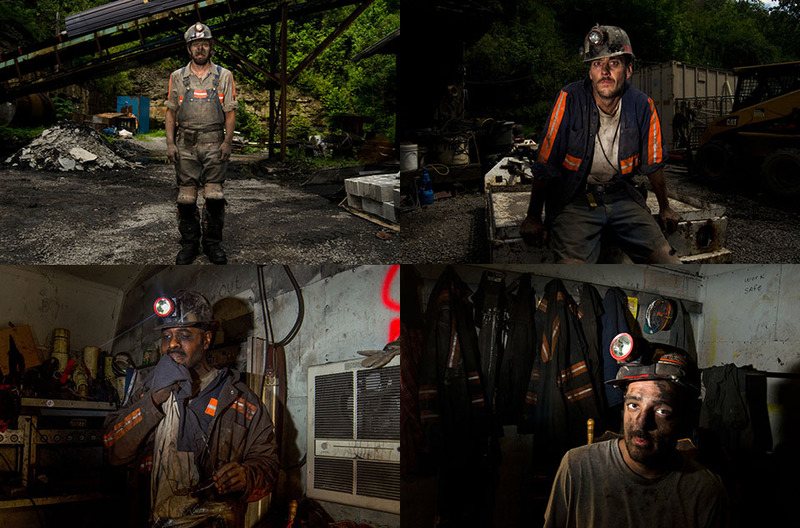 In the many year Stacy Krantiz has been documenting life in Appalachia—as seen in her ongoing project As it was Give(n) to Me—she has deftly navigated the minefield that comes with photographing in this often misrepresented part of the county. 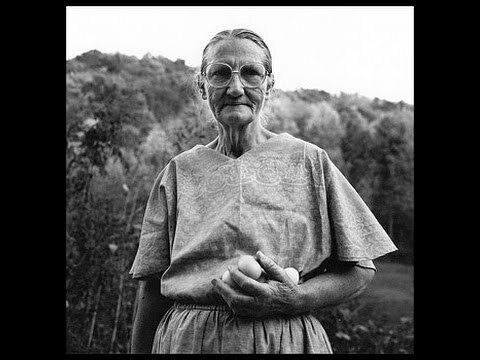 At least since Let Us Now Praise Famous Men, the 1941 book by writer James Agee and photographer Walker Evans* that chronicled the lives of poverty-stricken sharecroppers in the South, residents have rightfully complained about how outsiders have portrayed them in photographs—nothing short of a kind of visual openmouthed gawking and pointing. 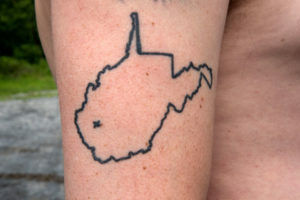 By living with her subjects, Krantiz challenges and plays with common stereotypes of the beautiful hill region of southern Ohio, West Virginia, and eastern Kentucky. Kranitz’s photos show her living it up with the subjects of her photos, deeply embedded, fully embraced, sometimes even appearing in the images herself. She photographs as a member of the family, showing the good and the beautiful, along with the bad and the ugly. Nothing to hide. These two women are working on a mural depicting coal miners in an underground mine. 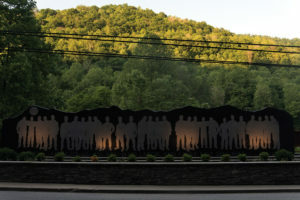 The mural is part of the “turn this town around” grant that also supported the Mine Wars museum. 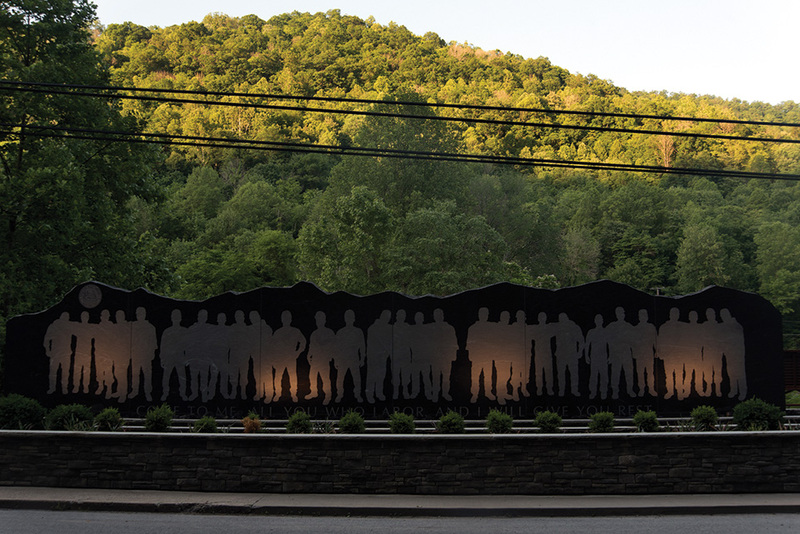 It is across the street from the union in downtown Matewan. 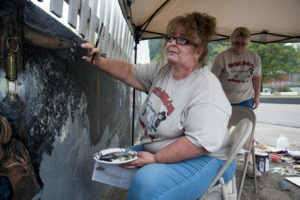 The artists are Ellen Hatfield and Vera Hankins.